Rangers are set to earn up to £800,000 if Martyn Waghorn seals a move to Derby County, according to The Daily Record. 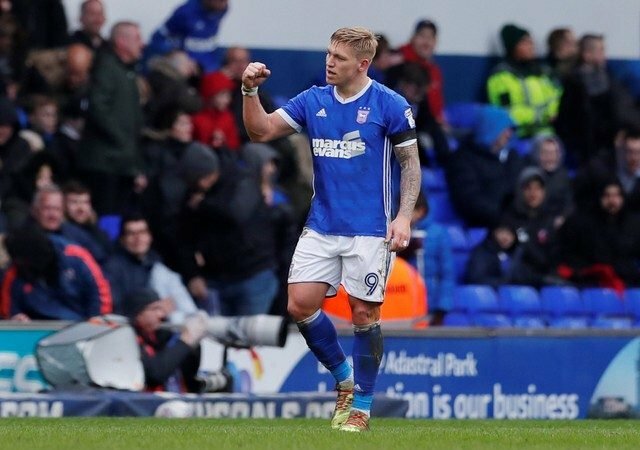 Waghorn left Rangers last year after scoring 44 goals for the Scottish outfit and then moved to Ipswich where he enjoyed a successful season in the Championship, netting 16 times and registering 11 assists for the Tractor Boys. The 28-year-old forward is now set to join Derby County in a deal which could amount to £8million and thanks to a crafty clause, Rangers will make ten per cent from the sale according to the report. Rangers surely wouldn’t have thought that Waghorn would sign for such a big fee only a year after moving from the Ibrox so this will be an added bonus for Steven Gerrard this transfer window. Having spent a reported £6.19million so far this transfer window, the windfall from Waghorn’s sale will come as a welcome relief to Gerrard as he looks to complete one more deal. Jake Cooper has long-been linked with a move to Rangers as Gerrard looks for a left-sided central defender, and Mark Beevers is the latest name touted as the new manager puts the finishing touches to his new squad.